Colour Cubes is an arcade game that is developed by IGT. This instant win game is very colourful as well as cheerful and will surely attract lots of players towards it by its instant win offerings. It is highly entertaining and comes up with a nice RTP of 93.00%. Play and Achieve Wins With Colour Cubes! 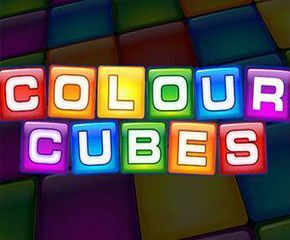 Colour Cubes instant win game is played on the grid of 7×7 format and there are many colourful cubes that appear during the gameplay. The players have very simple aim during their gameplay and that is to get the cubes having matching colours. After which, these cubes are collected in different rows which are located on the right-hand corner of the screen game in order to create the chance of winning prizes that are displayed on the prize table. The symbols that appear on grid includes Bomb, Star, Red Cube, Green Cube, Yellow Cube, Orange Cube, Blue Cube, and Pink Cube. The game gives the player to choose the stake values of £1, £2, £3, £5, or £10 on a Ticket Cost selector. When a player is done with selection of the preferred ticket cost, a new game starts, and nine turns are awarded to player. The player has to look out for Star symbol as when this is collected on grid, you will automatically be awarded the fixed prize of value £2 which gets instantly credited to the player’s account. The very next top symbol of the game is the Bomb and when a player collects the bomb on the grid then all the symbols which are found around it also get collected simultaneously and thus, you can expect a higher opportunity of winning the prize with the extra cubes that are being collected. Here, the bet amount of player determines prize which is available. The two lines will also start moving on a grid once player clicks on Go button and these lines randomly will stop with winning combos that consist of either three or more of the matching cubes. If any winning combinations are detected, then it will automatically be transferred to their respective rows that are located on the prize table. The player is awarded an instant prize when eleven pink coloured cubes, ten blue coloured cubes, nine green coloured cubes, eight yellow coloured cubes, seven orange coloured cubes or six red coloured cubes are being collected from the grid respectively. 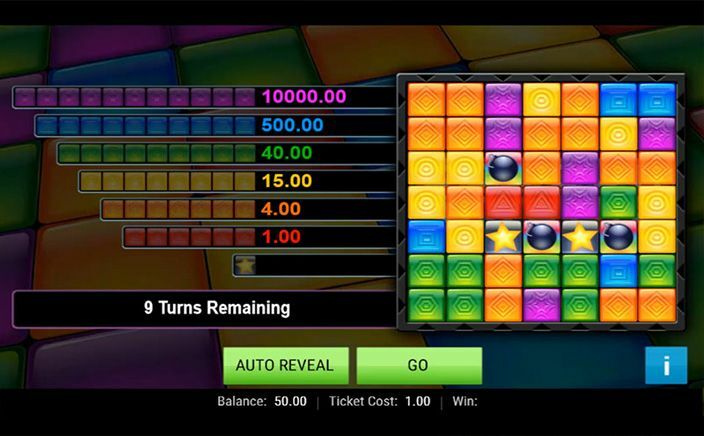 Colour Cubes game is indeed a quick game, where you can anticipate instant winnings at each step in the game. In all, Colour Cubes is worth your time.